Brad Stevens squad put on a defensive show limiting the Cavaliers to 83 total points in a 96-83 game 5 victory to take a 3-2 lead in the series. 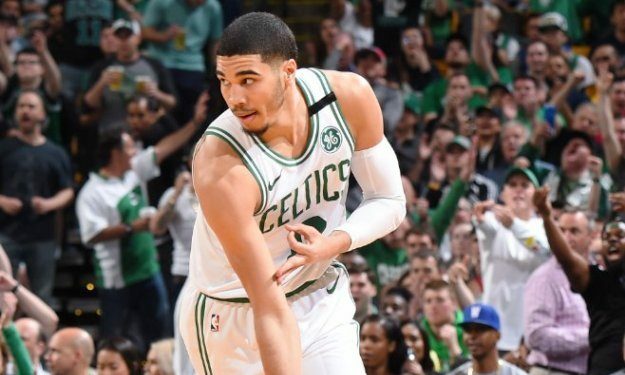 Rookie sensation, Jayson Tatum scored 24 points to lead the home side in scoring and Al Horford added a double-double with 15 points and 12 boards for the winning side. French rookie, Gouershcon Yabusele had 1 assist in 2 minutes for the Celtics. LeBron James finished with 26 points, 10 rebounds, 5 assists and 6 turnovers for the Cavs. Turkish rookie played 2 minutes and Croatian big-man Ante Zizic scored 3 points adding a block. Spanish veteran, Jose Calderon added 2 boards and 2 assists in a loss. The Cavs will try avoid elimination with game 6 on their floor on Friday night.